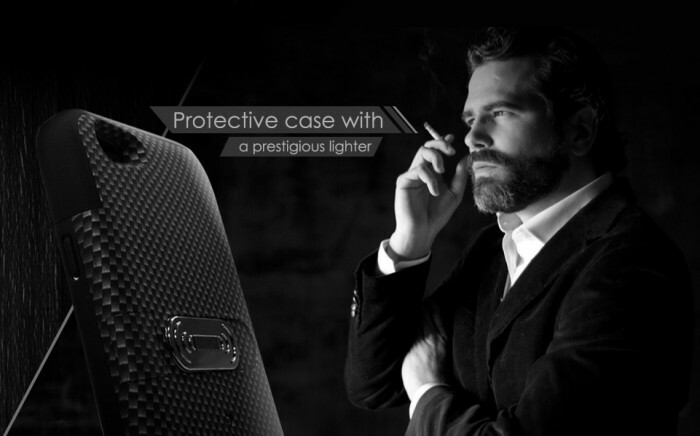 SMARTLIGHT is a protective smartphone case with an integrated cigarette lighter. The device enables smokers to light their cigarettes without the need to carry an independent lighter, lighter fluid, and the like while simultaneously preventing damage to a mobile phone. SMARTLIGHT have 13 invention patents over the world. 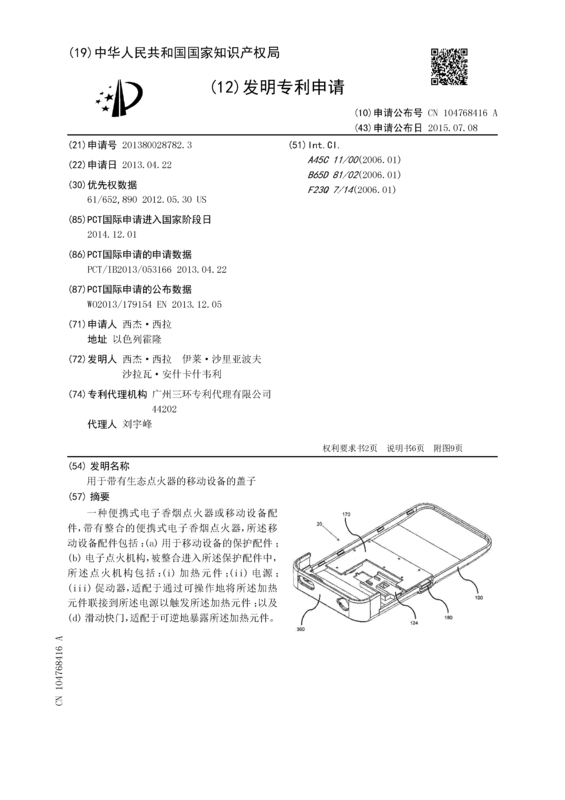 US, CN and HK patents already got the official approval (issued utility granted patents) – my patents covered every phone case who combine electric cigarette lighter, the design doesn't matter. There are many infringing products, which indicates high demand and potential. · Provides users with a combination smartphone case and an ecological cigarette lighter. · Features a rechargeable USB mechanism capable of ensuring the lighter has power at all times. · Eliminates the need to carry an independent lighter, lighter fluid, and other smoking tools, utilizing a heating coil integrated within the back of the case to light cigarettes, cigars, and other tobacco products. · Keeps a smartphone safe from drops, scratches, and other damages. 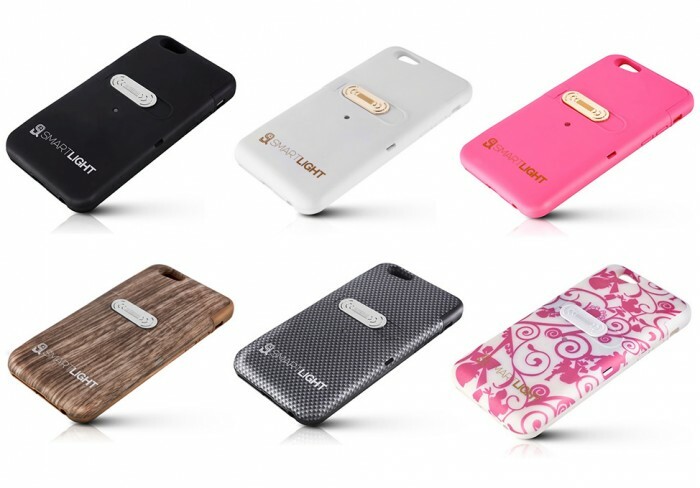 · Offers numerous colors, designs, and styles, allowing users to customize the look of their mobile phone. People who smoke cigarettes, cigars, and the like often carry around small lighters. The lighters are typically plastic lighters bought off a convenience store shelf or customized gas lighters which require lighter fluid. Both types of lighters can be easily lost and a cigarette smoker may be left without a way to light their cigarettes. Further, it may be windy outdoors and people may be unable to activate their lighter. 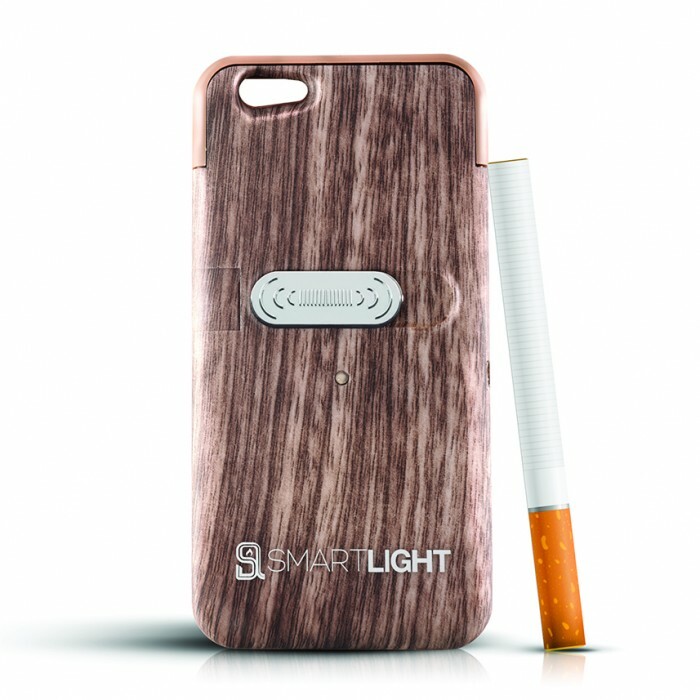 SMARTLIGHT is a revolutionary protective smartphone case with the added benefit of an integrated cigarette lighter. 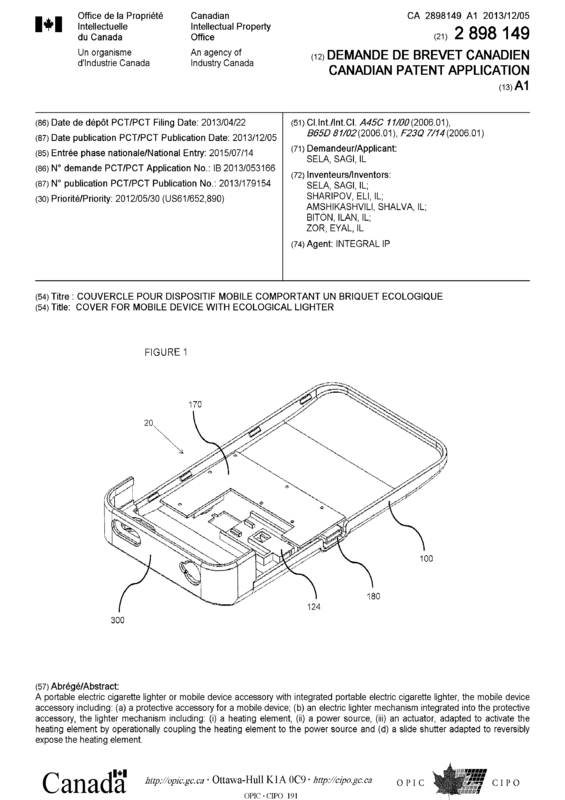 The device is comprised of a hard-shell mobile device case with a heating coil integrated within the rear side of the unit. There is also a rechargeable USB plugged into the side of the case which supplies power to the lighter unit. The heating coil is covered via an operation button which, when slid over the lighter, prevents a person from accidentally coming into contact with the hot coils. The user can simply slide the protective cover away from the coils in order to utilize the lighter. Users can choose to activate the heating coils whenever a cigarette lighter is needed. The coils can be replaced with a new heating unit when the coil gathers too much dust, tobacco residue, and the like. The design is intended to be more environmentally friendly than standard lighters while simultaneously eliminating the worry of damaging a mobile phone. SMARTLIGHT is constructed using a li-ion battery and PCB integrated within a polycarbonate hard-shell case. Rubber coating is also utilized for additional protection. The mobile device case is available in numerous colors and styles, all suited to accommodate user needs and preferences. 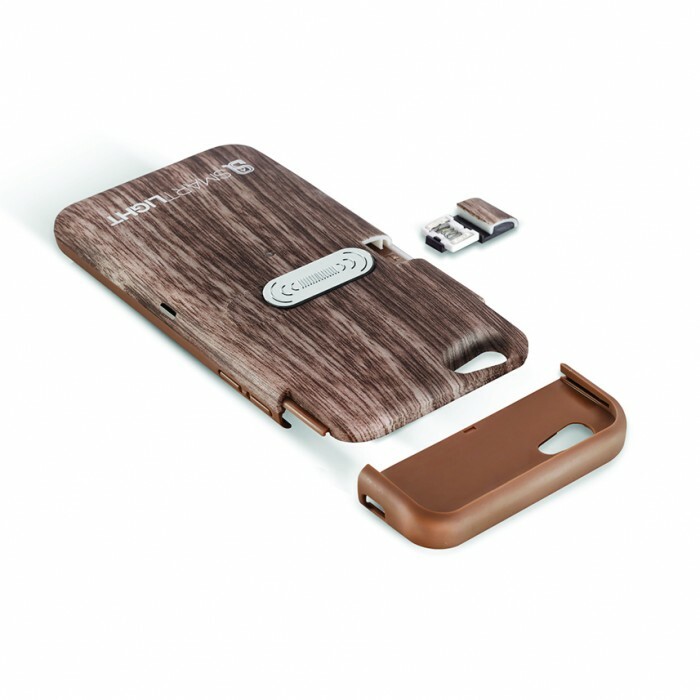 Further, the case is also available in various sizes to fit all makes and models of modern smartphones. Finished goods available upon request. 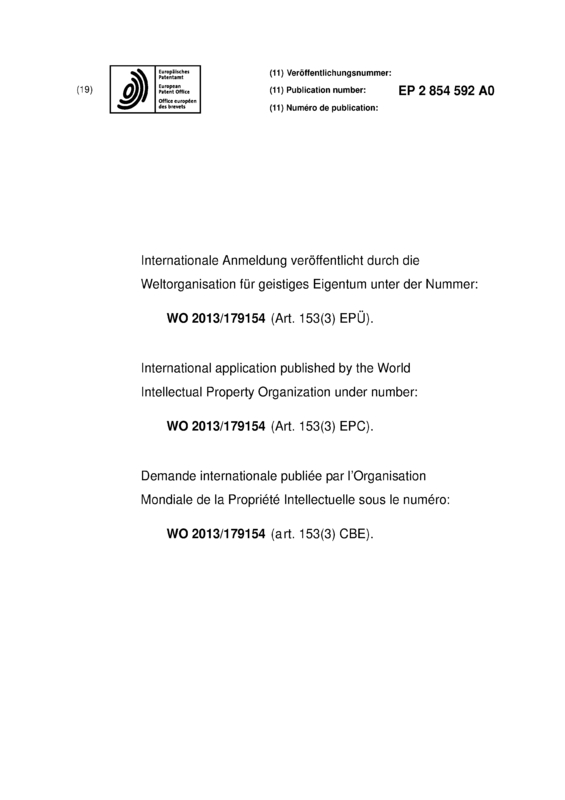 For more information, patent status report or any other question you may have please feel free to contact me. 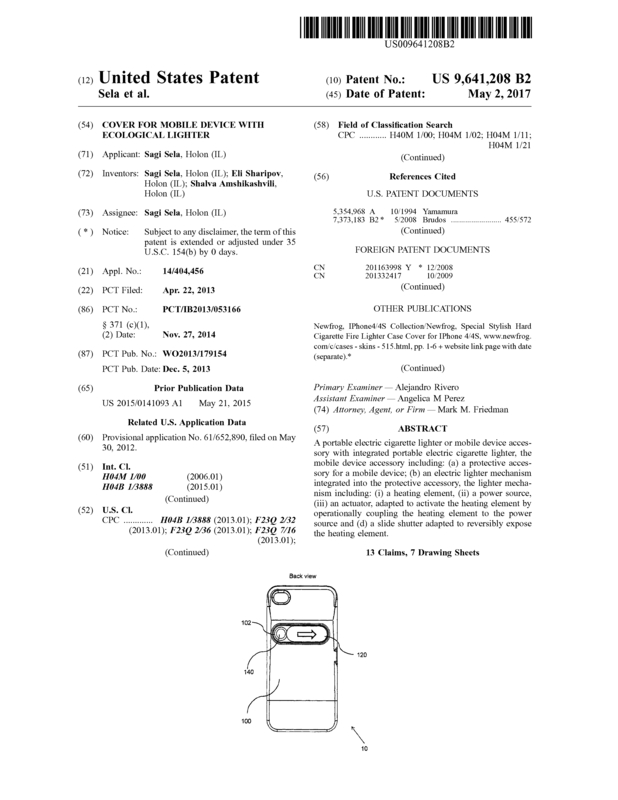 Page created at 2019-04-25 14:07:36, Patent Auction Time.